One pleasure of writing about music is “discovering” talent deserving broader recognition. More often than not, new talent, but occasionally an established artist who mysteriously falls through the cracks. I came to the music of Alfonso Fuentes through the Puerto Rican icon and multi-instrumentalist William Cepeda, who featured him on the DVD titled, Bomba Jazz (Casabe Records), where he masterfully interpreted the Puerto Rican Bomba, Ven y Baila Maria. Alfonso was born and raised in Puerto Rico. He is a composer, pianist and Associate Professor of orchestration and Composition at the Music Conservatory of Puerto Rico who draws inspiration from a wide variety of styles and expresses his “Puerto Ricanness” through classical music, North American jazz, tropical music, folklore, and international influences. He is best known for his work with chamber ensembles and symphony orchestras. Also, he is better known in China – with who he shares a special relationship – than in the States. 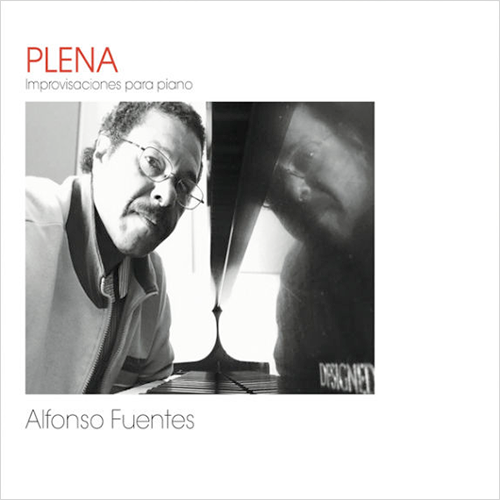 Plena, Improvisaciones Para Piano is Alfonso’s is his first “commercial” recording and a first step in gaining the recognition he deserves. PLENA (the title) refers to the popular rhythm associated with topics of the day (thus, the “sung newspaper”). Lesser known but as important, Plena is also a musical “gift” during times of joy and pain. Improvisaciones Para Piano was recorded at the Puerto Rico Conservatory of Music in sessions dating to 2009. Except for the melody, Cortaron a Elena (They Cut Elena), popularized by Manuel Jiménez “Canario” and Cortijo and his Combo) the material is performed spontaneously. Montuno #1 and #2 compare elements of Salsa and Latin Jazz; Memories Campesinas (Countryside Memories) consists of variations of the Puerto Rican Seises, the Celinés, and the Milonga; Plena por Pensamiento (Plena for critical thinkers) is just that! And though Cortaron a Elena is the exception to the rule, Alfonso’s interpretation is exciting and intriguing. Alfonso’s past presentations include television programs, soap operas, and jingles. Also, he has accompanied Nydia Caro, Placido Domingo, Ednita Nazario Yolandita Monk, Iris Chacon, Danny Rivera, and Andy Montanez among others. This is not “typical” Puerto Rican music, nor is it meant to be. The music stands on its own and demonstrates to the world, the music of Puerto Rico is boundless! Alfonso Fuentes (b. Alfonso Luis Fuentes Colón, 1954) is a Puerto Rican composer, pianist, poet, and educator. Formally studied at the Puerto Rico Conservatory of Music and, in the New England Conservatory where he was admitted into five different music specialties. A great part of his education consisted in the extracurricular rich interaction with musicians, artists, and related personnel, of all genders and styles, cultures and places. As commercial pianist has participated in more than 6000 presentations and/or interventions in the vast diversity of the music industry media, including a variety of TV shows; two soap operas for Telemundo TV; hundreds of recordings and jingles; fiestas patronales y verbenas, etc., and has made over 300 tours by several continents; also have been music director, arranger and producer. The performance’s venues include: Carnegie Hall; Town Hall; Tupperware Auditorium; Jackie Gleason Auditorium; Plaza del Centenario in Sao Paulo-Brazil; Seville World’s Fair; Atlapa Convention Center; Juan Pablo Duarte Olympic Stadium; Hiram Bithorn Stadium; José Miguel Agrelót Coliseum; dozens of nightclubs and hotels from Haiti to Atlantic City. Working with these and many, many others Latin figures: Nydia Caro, Placido Domingo, Erwin Scrott, Sandro, Gina Maria Hidalgo, Los Hispanos, Lizzette Alvares, Ednita Nazario, Yolandita Monje, José José; Raúl Vale; Rocio Jurado; Angela Carrasco; Charitín Goyco; Iris Chacón; Danny Rivera; Lunna; Lourdes Robles; Franco de Vita; Braulio; Basilio; Dagmar; Lucecita Benitez; Antonio Cabán Vale; Andy Montañez; Willie Colón. And with orchestras and bands of Quique Talavera; Pedro Rivera Toledo, Wisón Torres Jr.; Walter Rodriguez; Tony Sanchez; William Cepeda; Mandy Vizozo; Jorge Laboy; Angel ‘Cucco’ Peña; Jorge Calandrelli; Jesús Caunedo’s All-Star Jazz band, and the Puerto Rico Symphony Orchestra, among many others. 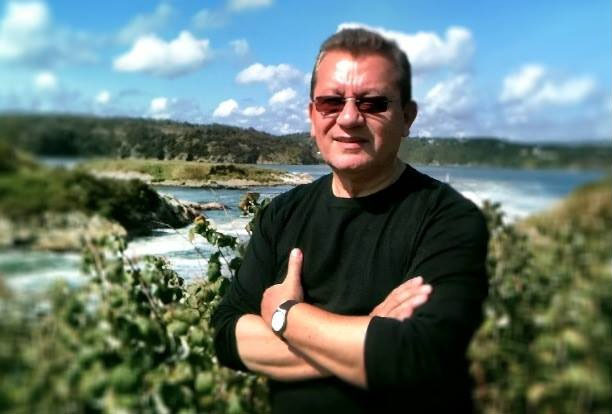 Alfonso Fuentes is the author of seven unpublished books of poetry, stories and aesthetic; and of various articles on music and society published in the local newspapers El Nuevo Día and Claridad. In Poemas de Música (Music Poems) in particular, he exposes a wide spectrum of his music and thought. An important sector of his undergraduate level composition students at the Conservatory of Music of Puerto Rico was accepted to pursue graduate education in important schools mainly in the USA, including Harvard, Princeton, Julliard, New England Conservatory, New York University, Michigan State. Some of them are making an international career as composer in a variety of genders. Fuentes was nominated to the X Latin Grammy as Best classical contemporary composition. His artistic trajectory has been recognized by the Institute for Puerto Rican Culture (1995); by the Guatemala’s Ministry of Culture and Sports (1998); by Universidad Veracruzana in Xalapa, Mexico (2001), by Conferencia Franciscana, Mexico City (2009); by Grupo Cultural la Ceiba (in 2011 and 2014); by the Municipal Government of Canóvanas, Puerto Rico (2014). The Professor Alfonso Fuentes Scholarship -which is an annual prize for university students in Composition- was instituted in by the Corporación Arpegio in 2012. In 2017 this non-profit organization also instituted the Alfonso Luis Fuentes Colón Award. Three museums of arts and culture in his country recognize his trajectory through the exposition of his music scores, photos, and memorabilia. These are Museo Casa del Compositor Hector Flores Osuna, in Caguas; Sala Histórica Sergio E. Calzada Rivera, in Canóvanas; and the Museo de la Música Rafael Ithier, in Guaynabo.